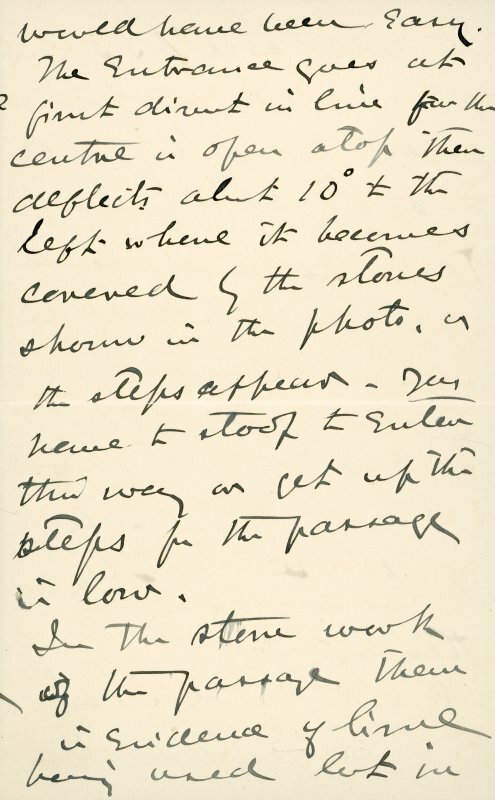 Extract from letter by Sir John Kirk to David Christison. 14 Jan 1893. Page 10 of 12. 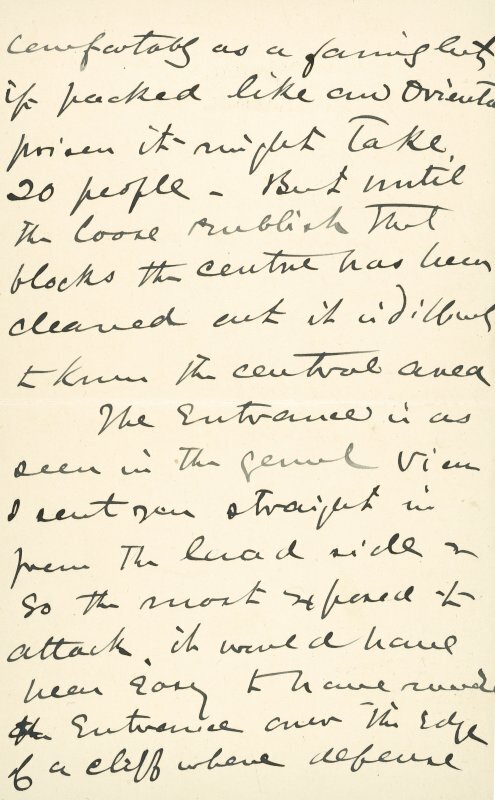 Extract from letter by Sir John Kirk to David Christison. 14 Jan 1893. Page 8 of 12. 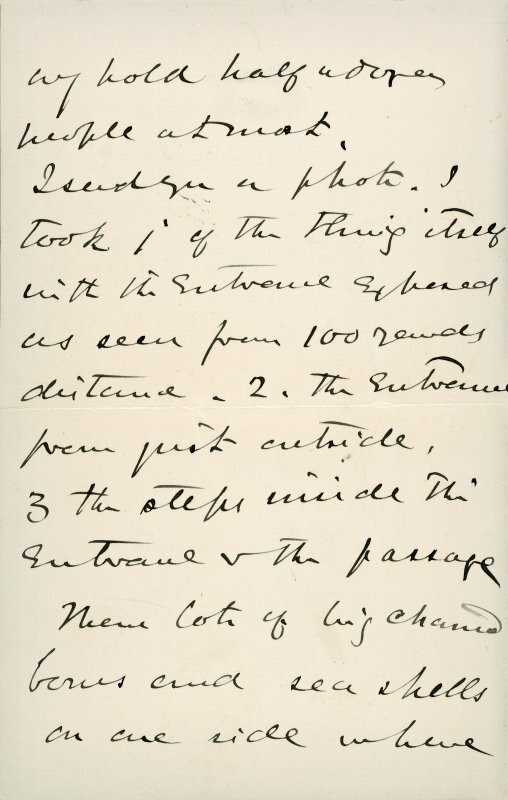 Extract from letter by Sir John Kirk to David Christison. 14 Jan 1893. Page 4 of 12. Detail of the entrance of Dun Ringill, held within a letter written from Sir John Kirk to David Christison. 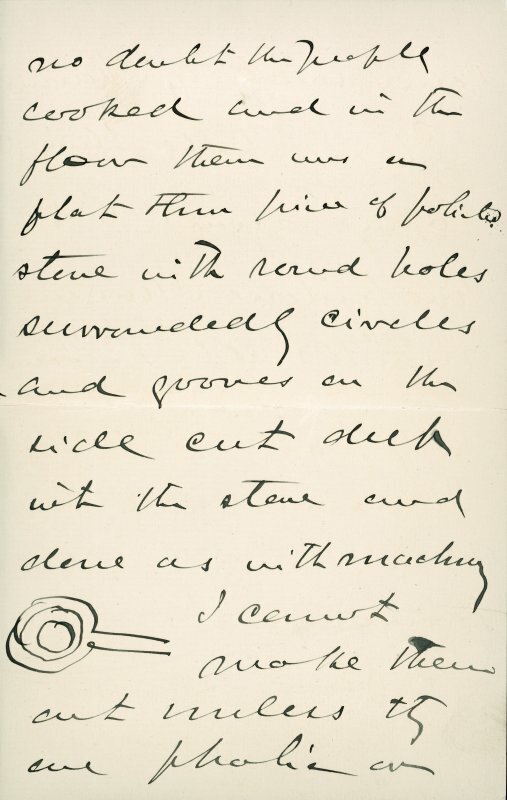 Extract from letter by Sir John Kirk to David Christison. 14 Jan 1893. Page 2 of 12. General view of Dun Ringill, held within a letter written from SiR John Kirk to David Christison. Typological series of galleried structures, drawn to a uniform scale. 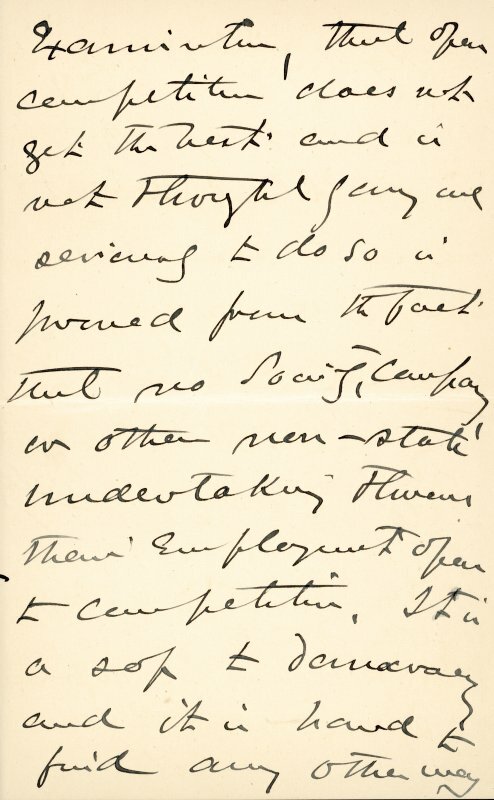 Extract from letter by Sir John Kirk to David Christison. 14 Jan 1893. Page 9 of 12. 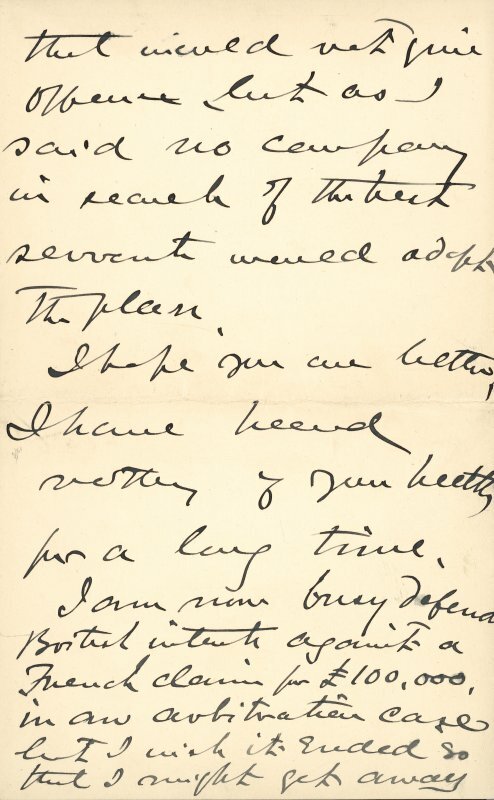 Extract from letter by Sir John Kirk to David Christison. 14 Jan 1893. Page 3 of 12. 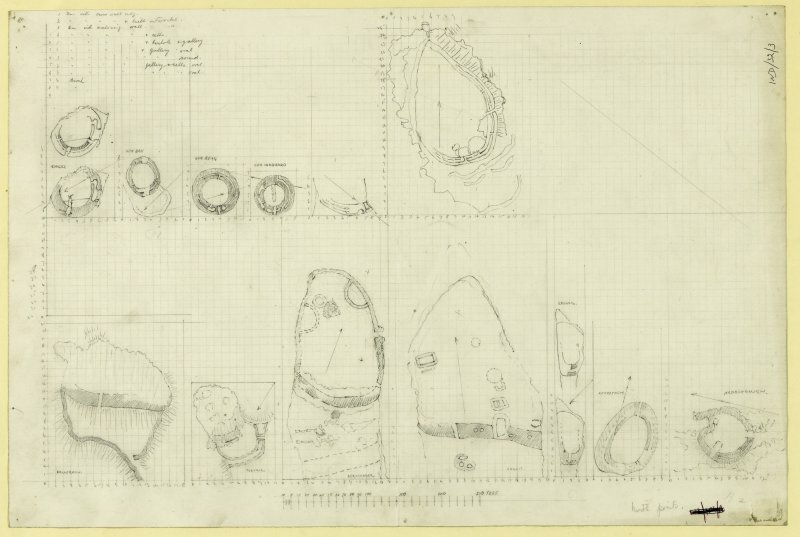 Survey drawing, upper level plan and section through entrance of Dun Ringill. Survey drawing, lower level plan of Dun Ringill. Preparatory drawing; typological series of galleried structures, drawn to a uniform scale. 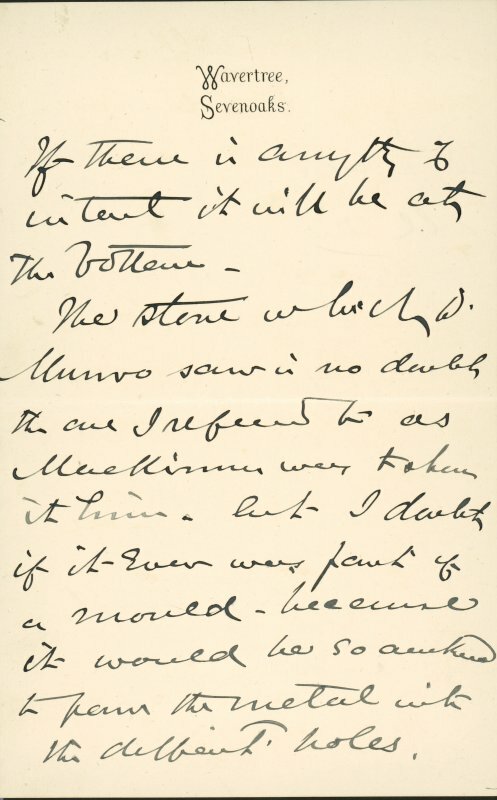 Extract from letter by Sir John Kirk to David Christison. 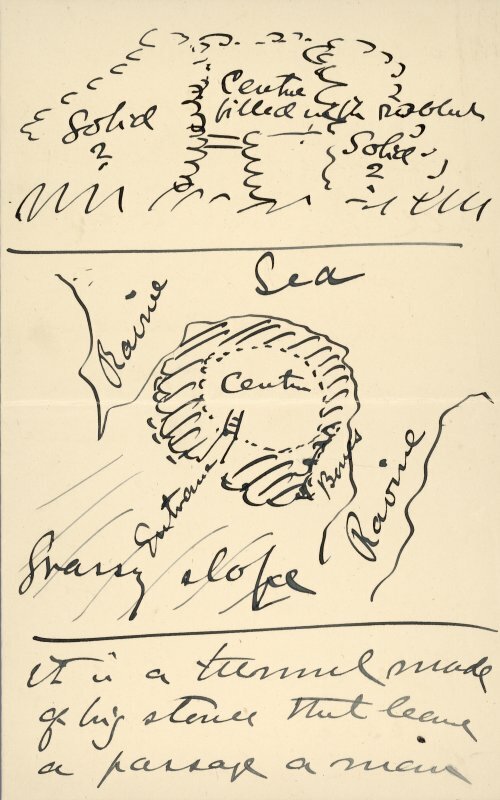 14 Jan 1893. Page 12 of 12. 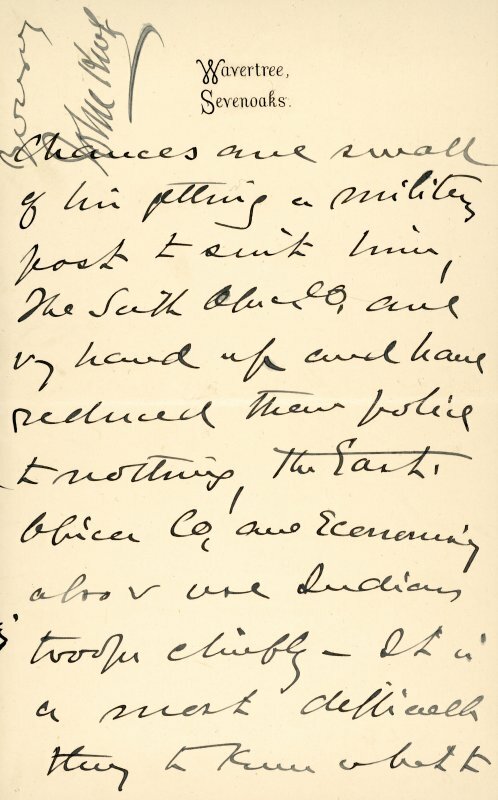 Extract from letter by Sir John Kirk to David Christison. 14 Jan 1893. Page 5 of 12. 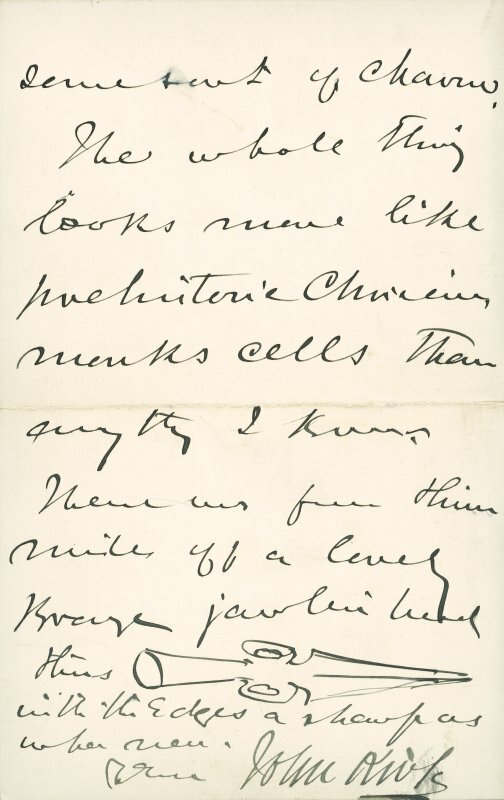 Extract from letter by Sir John Kirk to David Christison, 5 Jan 1893.Page 4 of 4. 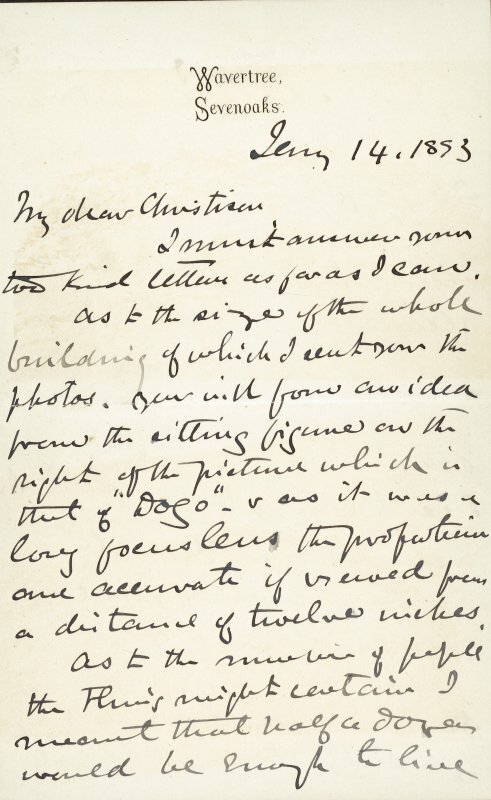 Extract from letter by Sir John Kirk to David Christison. 14 Jan 1893. Page 11 of 12. 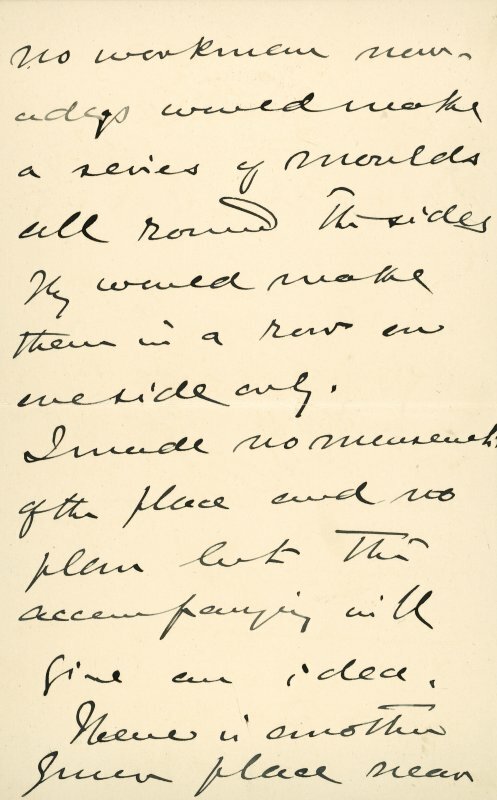 Extract from letter by Sir John Kirk to David Christison. 14 Jan 1893. Page 6 of 12. 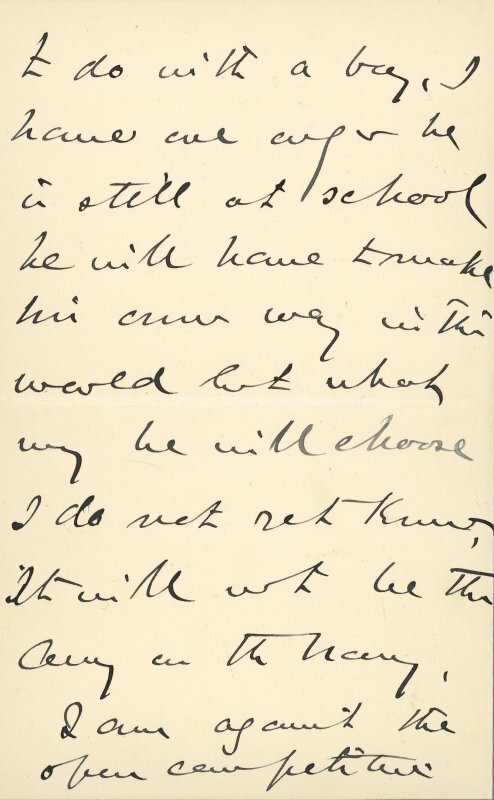 Extract from letter by Sir John Kirk to David Christison, 5 Jan 1893. Page 2 of 4. 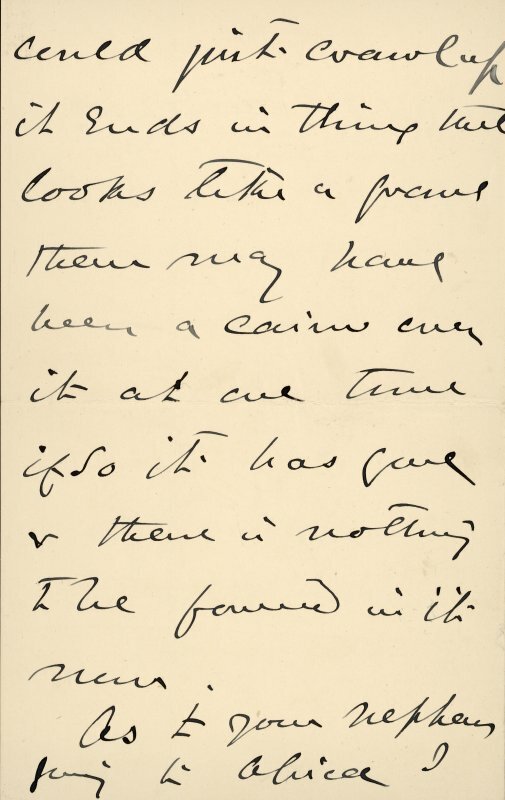 Extract from letter by Sir John Kirk to David Christison, 5 Jan 1893. Page 1 of 4. 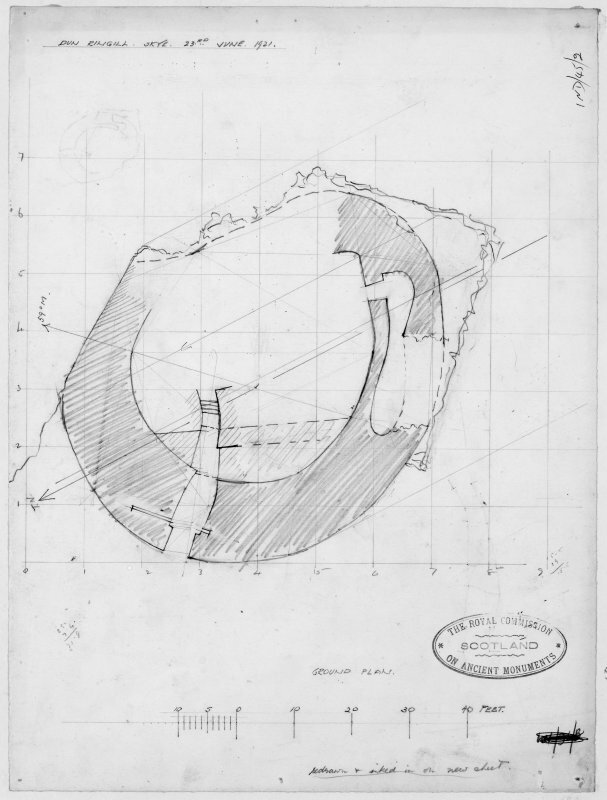 Publication drawing; plans and section through entrance, Dun Ringill. 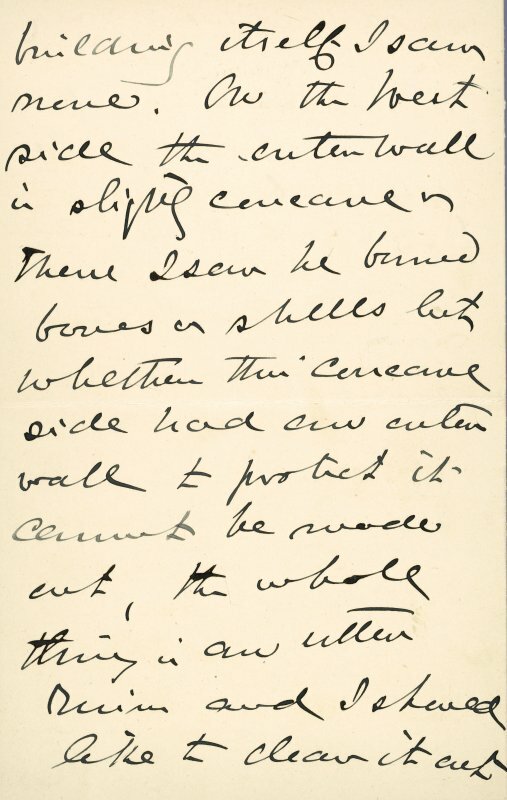 Extract from letter by Sir John Kirk to David Christison. 14 Jan 1893. Page 1 of 12. 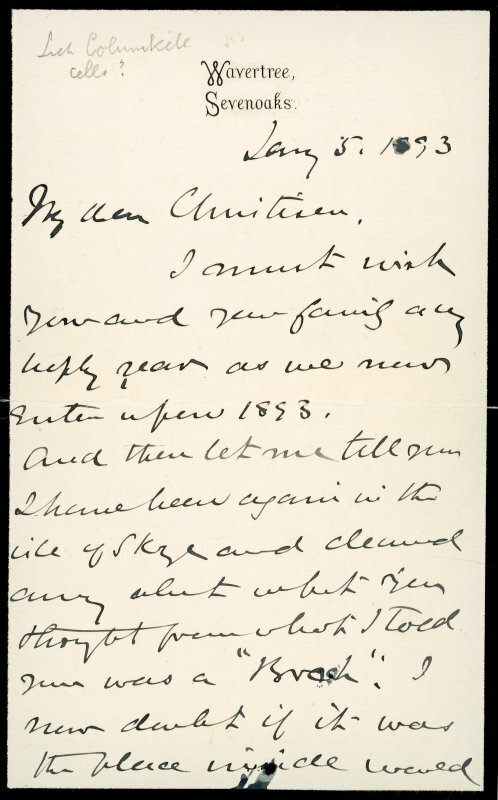 Extract from letter by Sir John Kirk to David Christison, 5 Jan 1893. Page 3 of 4. Dun Ringill, 1st millennium BC. 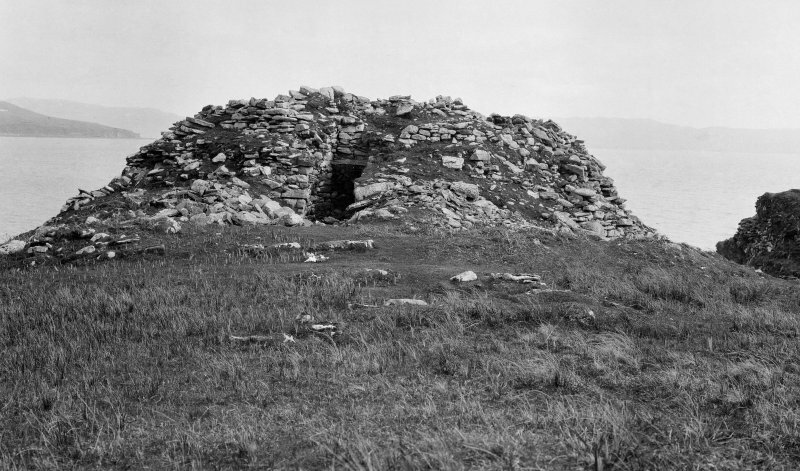 Complex roundhouse/semibroch structure above Loch Slapin, refashioned c.14th century as the first residence of the Mackinnon chiefs in Skye (later abandoned for Kyleakin); remains of two medieval lime-mortared buildings in the curtilage. This was one of the six 'castells' on the island listed by Dean Monro in the mid-16th century. Dun Ringhill. Owing to the natural incline of the ground from the entrance to the cliff edge and partly to debris, the interior of Dun Ringhill, a broch-like structure is on a higher level than outside the W arc, and therefore less height of walling is necessary on the seaward side, where, being inaccessible, the wall appears also to have been thinnest and for the most part cannot now be traced. The walling is sub-oval on plan with axes 72ft and 58ft, and varies in thickness from 15ft at the entrance and 13ft at the cell on the SW. A distinguishing feature is a batter on the inner as well as the outer face. A passage way, from which the lintels have been removed, pierces the wall in the NW and has been extended inwards by a later lime-built addition in which the original lintels have been reused. It terminates in a short flight of steps ascending to the court. The original entrance has a door check on each side, and bar holes. To the E of the court there are foundations of a secondary rectangular building measuring 15ft by 7ft 6ins internally, with side walls 2ft 6ins thick and gables 3ft 10ins thick; its main axis lying NNE-SSW. About the court level and over the entrance a gallery has been carried round the NW arc in the thickness of the wall. Only the inner wall, which is from 3ft 6ins - 5ft 9ins in thickness remains to a height of 2 or 3ft. In it are three openings, one in the N, one immediately over the rear of the main entrance, and one in the SW. In the lower-level walling on the SW, an exceptionally fine and large oval chamber, arched by overlapping stones, has been exposed through its outer wall falling away. It has been reached by a doorway leading into a D-shaped passage joining the E end of the chamber at which point two lintels remain in position. RCAHMS 1928; D Monro 1884; A Graham 1949; E W MacKie 1965; J R C Hamilton 1966. Dun Ringill, as described by RCAHMS, is a galleried dun, its condition has deteriorated still further. Site recorded in the spring of 1997, during a field survey carried out by Martin Wildgoose and associates on part of the John Muir Trust's Strathaird Estate. The surveyed portion lies to the S and E of Bla Bheinn, some 3000ha of undulating lowland terrain lying between the coast and the Cuillin mountains. NG 5619 1708	Dun/castle (Dun Ringill) (NG51NE 4). A full report is lodged with the John Muir Trust. A fuller summary is lodged with the NMRS. Dun Ringill is built on the edge of a low cliff on the west shore of Loch Slapin. On either side there are steep-sided inlets so that it is readily approached only from the west, and the entrance is on this side. Though now ruinous and overgrown, the thick walls of this oval dun can be seen clearly on the landward side, enclosing an area about 17.5m by 22m, and the long narrow entrance appears to have been the only way in. There are door checks and bar-holes in the entrance passage, which retains several of its lintels, and has more than one phase of building. Within, there is a mass of tumbled stone, but much of the line of the inner wall·face can be seen; it has three openings in it, one of them leading to the remains of a large cell on the south side. The ruined rectangular building on the seaward side is of later date. This D-shaped semibroch in Strath, Skye, stands about 10.7m (35 ft) above the sea on the end of a small, isolated, precipitous sea promontory rising above flattish moorland; the promontory has a flat but sloping surface rising up to sheer cliff edges so that the longitudinal section of the knoll is triangular. A steep-sided gully bounds the knoll on the south side (visited 19/4/63, June 1986 and June 1988). 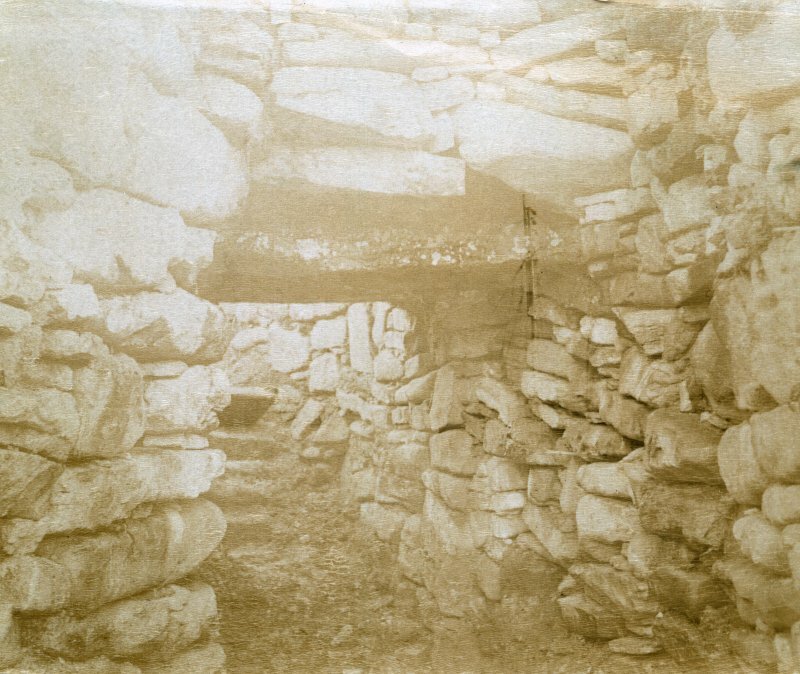 The building has been claimed to be a partly collapsed circular broch by Harding  and this has been echoed by those of his research students who have visited the site [10, 11, 15]. 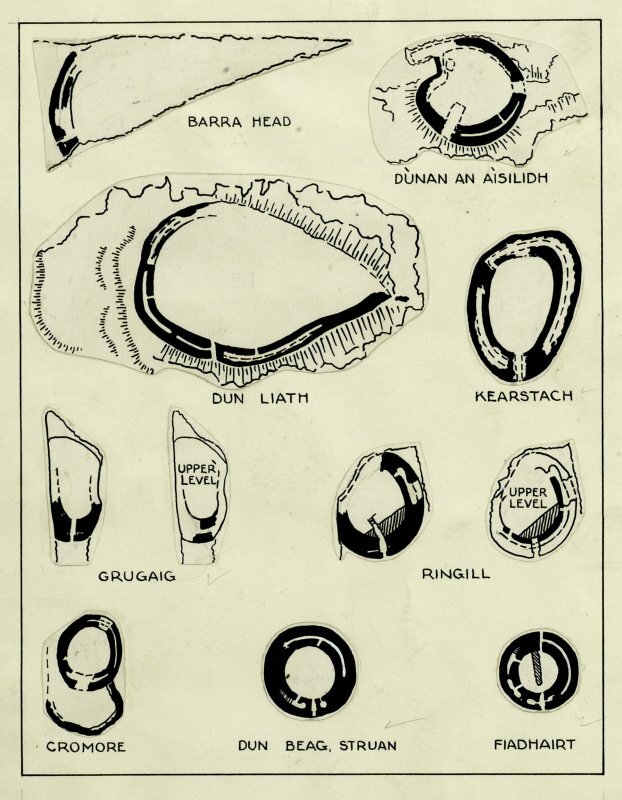 The point is an import-ant one because if Dun Ringill really is a broch part of which has fallen over the cliff the identity of a specific class of D-shaped semibrochs – possible broch prototypes – is thrown into doubt. The nature of this site is discussed in Section 2 below and, because of this dispute, the description here of Dun Ringill is fairly detailed. 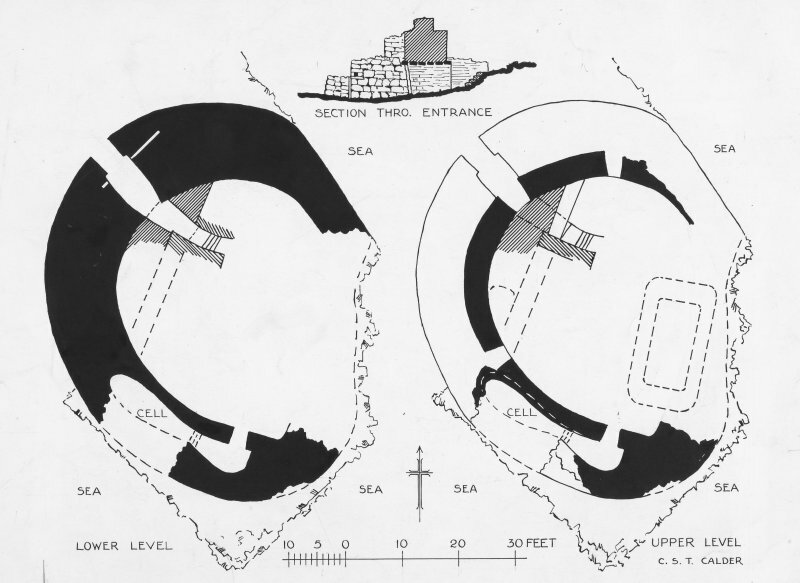 In plan the structure is like a slightly squashed D with the curved main wall running round the sloping landward-facing surface from cliff to cliff; the high, seaward cliff edge has no traces of walling now although the outer faces can be seen to start to run along it, which of course they should not if the building was once a round broch. 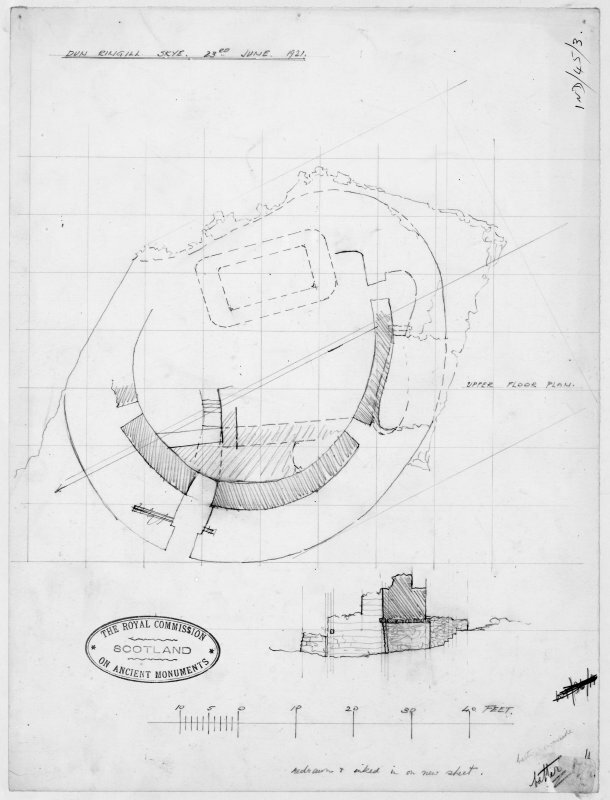 Swanson maintains that "No evidence was found during survey to support the view put forward by the RCAHMS, that a slight wall had edged the cliff on the east, completing the structure." [11, 902 and plan]. However the author's survey a year or so later identified some of the facing blocks of the outer edge of this thinner wall and these are marked on the plan [12, fig. 8]. This curious discrepancy between what two careful field surveyors see – also evident in the accounts of Dun Grugaig 1, above (site NG51 1) – is worthy of note. This seems to be a classic case of pre-conceived idea strongly affecting what is seen in the field, a condition with which the author is familiar (MacKie and Davis 1989 131). All the counter-arguments advanced about these sites seem to stem from a basic desire to disprove a priori the existence of semibrochs as a distinct class of broch-like buildings. The building stands on the sloping rock surface and the wallhead is approximately level all the way round; thus the preserved height of the wall varies from nothing where it peters out against the sea cliff to about 3.4m (11 ft) at the entrance. The entrance passage has been badly damaged by a secondary reconstruction of lime-mortared masonry during which all the lintels were taken off and re-used on an extension built back into the interior. It faces north-west and inland and is 4.58m (15 ft) long with built rebates for the door about 1.37m (4.5 ft) from the exterior; a bar-hole and socket are preserved behind them. The passage is 1.32m (4 ft 4 in) wide at the outer end, widening to 1.68m (5.5 ft) behind the door and contracting again to 1.14m (3 ft 9 in) at the inner end. At first sight there is no evidence for the structure of the basal part of the wall near the entrance, but because of the rising ground in the interior, it is almost certain that the wall base is solid (except for one large mural cell – below). 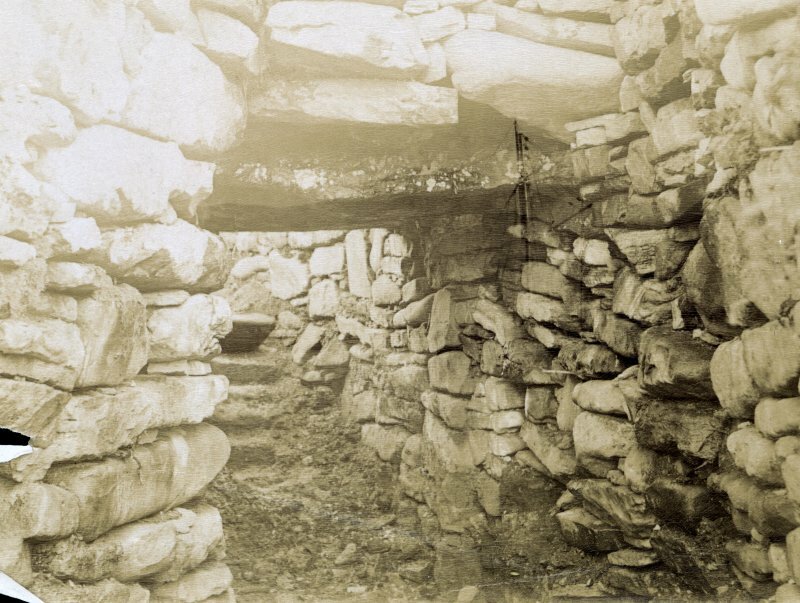 An upper gallery is preserved on either side of the entrance passage and this joins the chamber over the entrance – a feature otherwise known only at the nearby Dun Grugaig (site NG51 1); only the junction on the north-east side can now be seen although the Commission's plan shows both sides of the inner end of the chamber linked with the inner wallfaces of the galleries [2, fig. 293]. The Commission saw two voids from this raised gallery leading to the interior – in addition both to that over the entrance and to the stair door – but only one of these (at 3 o'clock) is still visible (although it is hardly visible now this void is marked on the RCAHMS plan. It was omitted – apart from a 'v' – on the author's previously published plan (MacKie 1991, fig. 8) and this shows the importance of taking account of earlier surveys. Swanson marks one side of the opening clearly [11, 904]); the other one, at 8.30 o'clock, can no longer be seen. The upper gallery – of which only the inner wall is preserved – runs round in both directions from the entrance; the section going south, or anti-clockwise, runs close to the top of the surviving half of a large oval mural cell in the south-west arc, which has its own doorway to the interior at 2 o'clock. In 1921 there were two lintels in position over the passage between the cell and its doorway, but these have now disappeared . This doorway leads to a passage which has a curved end immediately to its left (opposite the cell) so it is clear that the wall between this point and the cliff is solid. The floor of the cell is well below the doorway – the rock surface slopes downwards and outwards here – so it seems highly likely that there is a short flight of steps in the passage leading down into the cell [2, fig. 293]. Careful examination of this floor shows a feature not commented on by other visitors to the site. The inner face of the cell is smoothly curved and well built, and can be seen descending to what at first sight seems to be its floor. However the smooth, vertical face abruptly turns into a slope of rough rubble which continues down for a further 30cm or so, to a very rough floor (the outer half of the cell has of course vanished). It is clear that the original, presumably paved, floor has been torn out and that the rubble core of the wall was thus exposed at the base of the back wall of the cell [12, pl. XA]. It is a tribute to the skills of the Iron Age builders that the remains of this large mural cell are still stable, even though its outer half has fallen away and the inner half has been undermined. Although the inside face of the Iron Age building is preserved to a considerable height – for example by the secondary cemented construction laid against it at the inner end of the entrance – there is no sign of a scarcement ledge in the resulting straight joint; it is doubtless higher up and has been obscured by the re-laid lintels. Alternatively the outermost secondary lintel may actually be resting on this ledge. The author omitted to check this possibility when he was last surveying at the site in 1986. Neither is there any sign of a guard cell opening off the primary entrance passage nor any indication of whether there is a ground level mural gallery in the parts of the wall not occupied by the mural cell. The cell is immediately above a dry gully, forming the innermost end – beyond the reach of the sea – of the cleft on the south side of the knoll. The secondary, mortared masonry consists of a wall with a vertical inner face (Illus. 8.126) forming a chord against the curved Iron Age wall on either side of the entrance and through which the Iron Age passage has been extended inwards. It seems to have been built when there was hardly any debris in the interior, or after such debris had been removed; the fact that a short flight of steps was added at the inner end suggests that there was still some debris inside or, more likely, that the steadily rising underlying rock made such steps necessary. The sides of the inward extension of the passage continue in-wards for a few feet beyond the straight vertical wallface of mortared masonry, as if to act as revetments against uncleared older debris on either side. The debris was doubtless cleared away from next to the inner face first. On top of the straight mortared wall is a parapet walk about a metre wide, with the remains of the parapet in front of it; the junction between the parapet masonry and the curved Iron Age wall is clear. Another potentially important feature, not mentioned in previous accounts of the site (except that of Swanson ), is an old trench which has been dug along the curved outer face of the building on the south-west, from below the mural cell to about 5m short of the main entrance. This has evidently been dug to expose the remains of the wallface, and looks at first sight like a 19th century antiquary's exploration trench. Its significance is probably greater than this however and it is discussed further below. The tale is confirmed by Sir Robert Monro’s 16th century account of the Western Isles  and is particularly interesting in view of the lime-mortared medieval refortification inside the semibroch. Swire makes reference neither to the Royal Commission's account  – being evidently unaware of the two phases of masonry on the site – nor to the information in Monro's work, so it is tempting to suppose that she recorded a genuine local folk memory about the site. Harding’s interpretation. 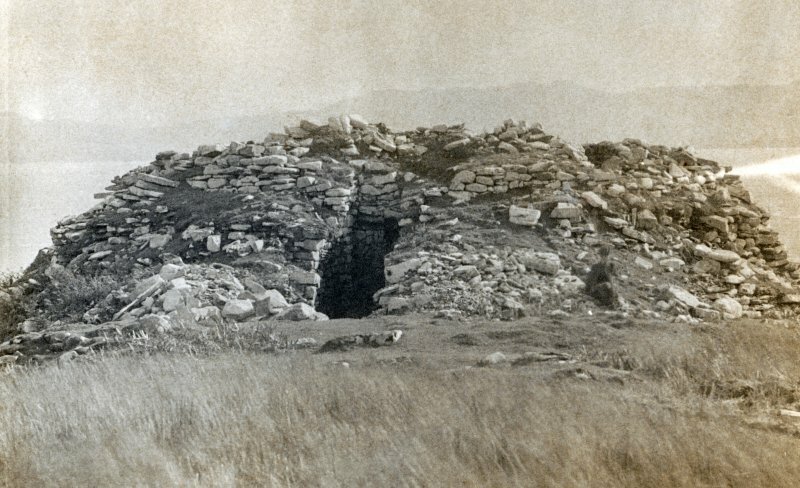 There is no doubt that Harding was wrong to claim that Dun Ringill is a circular broch which has partly fallen over the cliff , though it is correct to say that the building in its pristine state almost certainly formed a complete enclosure , and was not quite the D-shaped structure seen at Dun Ardtreck (NG33 2). The outer face of the wall running along the sea cliff is quite clear on the north-east arc and that on the south arc appears to be curving round to join it. This cliff-edge wall was obviously much thinner than the galleried wall on the landward side of the knoll. Harding is surely also mistaken to claim that the remaining half of the large mural cell on the south-west side shows that a circular broch has partly collapsed over the cliff edge here; the massive foundation stones of the outer face run smoothly past below the cell and close to the edge of the rocky gully, and they are intact and undisturbed. There is no rubble to speak of in the gully, and there has been no subsidence or collapse of the wall foundations. There are large areas of flat rock forming the shore below the promontory and there are no signs of fallen cliff fragments on these. The nature of the site. Dun Ringill is thus a true D- or C-shaped semibroch which has been built in a situation characteristic of the class – on an uneven knoll with a steep cliff onmore than one side which serves as an essential part of the defences. It is more skilfully built than Dun Ardtreck (NG33 2) where the D-shaped wall was built in a very similar situation – on a sloping rock surface descending from a cliff edge. However whereas a level rubble platform, reveted with heavy walling, had to be built on the slope to support the galleried wall of Dun Ardtreck, at Dun Ringill the galleried wall – while still resting on a solid base – has a wallface all the way down to the rock on both sides (the inner one being visible in the straight joints in the entrance passage). A greater confidence in building heavy drystone walls on uneven rock is thus apparent at this site. This confidence appears to be confirmed by the large mural cell on the south-west, otherwise unknown in the semibrochs (except for the two in the Clickhimin 'blockhouse' in Shetland. which appear to have a different origin – HU44 1) and which is more usual in the solid-based brochs of the far north. However it seems very likely that this cell had a purpose that was primarily structural. At this point the underlying rock surface of the promontory dips sharply down and the massive main wall had to be constructed along the slope to prevent any attackers approaching up the side of the knoll. The large cell may be regarded as a variant of the weight-saving, hollow-wall principle – used to avoid the necessity of building an extra thick and solid wall base along this slope, and thus saving a considerable quantity of stone. The mural gallery presumably starts close to rock level at both ends, and quickly becomes an upper one as it approaches the entrance. It is not clear what happens at the mural cell, which appears to have corbelled up to a height which would have blocked the first floor gallery. 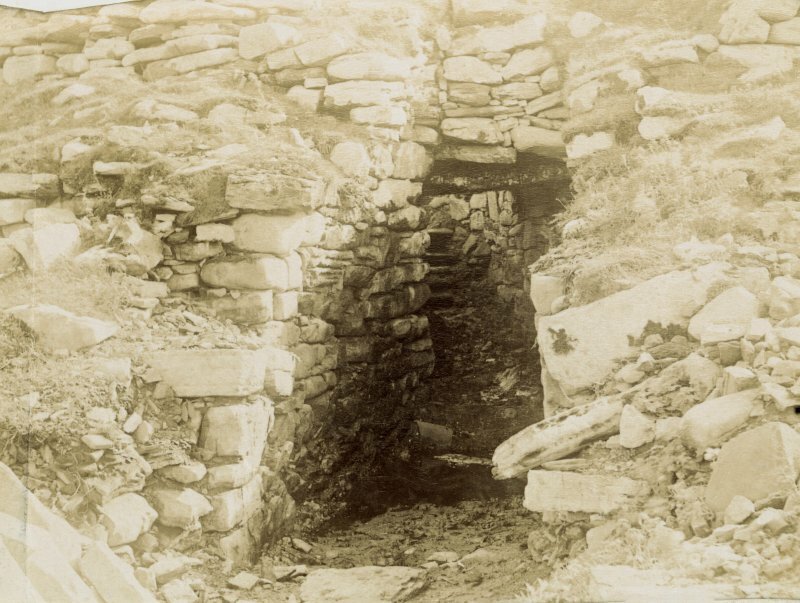 Neither is it clear where the intra-mural stairway is; presumably the now invisible void at 8.30 o'clock was the stair door and this – doubtless starting at ground level here but already at the height of the entrance lintels – would have risen up above the level of the chamber over the entrance and would have connected with the hypothetical second and third floor galleries. In this case the only way into the first floor gallery would have been through the void at 3 o'clock and by way of the chamber over the entrance. The downward slope of the underlying rock offers an explanation for one of the functions of the scarcement ledge in these primitive D-shaped structures. The only way a level floor could be arranged in the interior would either be to pile up rubble against the inner face (for which there is no evidence here but which in effect happened at Dun Ardtreck) or to build a raised level wooden floor, which does seem to have been done here. Whether a complete oval roundhouse was built inside is unclear and likely to remain so until the interior is carefully excavated. If a level wooden floor continued over to the wall at the cliff edge the scarcement on the landward wall would have to have been at least 2.4m up on the inner face. This seems rather high, although the sills of the two voids in the inner face are doubtless at the level of the scarcement, If they were exposed a better picture of the Iron Age wooden furnishings might be obtained. Level 1. Two plans show how the two Levels of Dun Ringill can be defined. Level 1 appears to exist only on the landward side of the knoll since the rock surface evidently rises above its probable height (perhaps 2m) well before the cliff edge is reached. It seems to be a solid wall and contains the primary entrance and most of the large mural cell on the south-west arc. It is probable that a scarcement runs round the inner wallface at a height of about 2m but this is obscured by rubble and later masonry. Level 2 consists of the hollow-walled elements of the building – a galleried wall which seems to run round towards the cliff on the north-east and to be interrupted by the domed roof of the large cell on the south-west. There is also a chamber over the entrance passage and the gallery appears to have joined this on both sides. Two voids – at 8.30 and 3 o'clock – lead from the interior into this gallery and both could be above scarcement level, in which case they should be voids above doorways. However their height above the underlying rock is unclear so they might be the tops of the doorways themselves. The opening at 3 o'clock is likely to be the doorway to the mural stair (or the void above it) and the steps are doubtless concealed under the rubble filling the gallery; the flight could lead to a landing at the level of the floor of the chamber over the entrance and, in this case, the stone stair would have provided the primary route up on to the raised wooden floor which doubtless rested on the scarcement. Confirmation or otherwise of these ideas must await excavation. The doorway at 8.30 o'clock seems to have been another entry to the first floor gallery and it too may have its sill at scarcement level. Medieval refortification. The alterations made to Dun Ringill with lime-mortared masonry make sense of some of the other features commented on above. The deep trench along the outer wallface in the south-west arc must surely belong to the period of secondary re-fortification; it looks as if the old Iron Age wallface was re-exposed on the south-west to increase the defensive capacity of the building on that side. Moreover this must surely have been the time when the floor of the mural cell was torn out; doubtless there was a heap of rubble here from the collapsed outer half (though, as noted, the foundations are intact) which was cleared away to expose the fine vertical inner wall of the chamber and use it as part of the defences on that side. The Mackinnon workers would be unlikely either to have recognised the floor of the cell when they reached it or to have bothered about it if they did. This torn-out floor neatly demonstrates the superb quality of the Iron Age masonry of the mural cell and makes nonsense of the notion that it has been undermined; the outwardly curving inner half of the great cell stands as a solid as a rock even after the support provided by the outer half has gone, and after part of its foundations had been torn out! Sources: 1. NMRS site no. NG 51 NE 4: 2. Monro 1961, 68: 3. RCAHMS 1928, 208-10, no. 650 and fig. 293: 4. Swire 1961, 225: 5. Young 1962, 192: 6. MacKie 1965: 7 Hamilton 1966: 8. MacKie 1975, 162-4: 9. Harding 1984 [in Miket and Burgess, 1984]: 10. MacSween 1984-85, 47, no. 38 and fig. 38: 11. Swanson (ms) 1985, 900-03 and plan: 12. MacKie 1991, 169-72 and pls. XB and XA and B: 13. Monro 1961, 38: 14. Miket and Roberts 1990, 45-8: 15. Armit 1996, 118 and 219.